Getting enough calcium is not just a necessary measure for your bones. Calcium is essential to your heart, muscles, skeletal structure, nerve, and blood health as well. Much research has gone into what calcium does for our health, and current studies revealed that when paired with vitamin D, calcium may help protect against such serious diseases as diabetes, heart disease, and even cancer. Calcium is the most prevalent mineral in our body, living mainly in our teeth and bones. We have so much calcium in our body’s that it may even comprise 2% of our body weight! There’s good reason why we have so much calcium in our body—it not only provides the benefits above, but it also helps keep other mineral levels in check. Potassium, phosphorus, magnesium, and calcium all work in work together to keep things balanced and maintain our health, which is why its important to ensure that you’re getting enough calcium in your daily diet. Calcium can be found in various food sources, from dairy products to veggies. 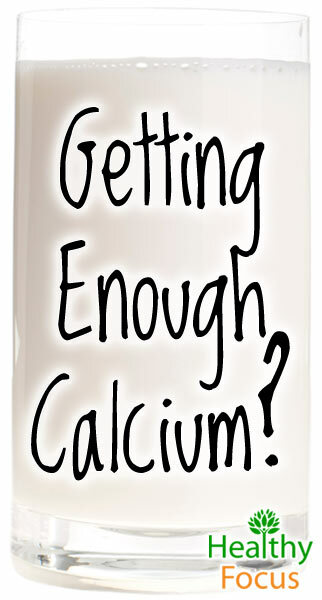 So what happens when you’re calcium deficient? 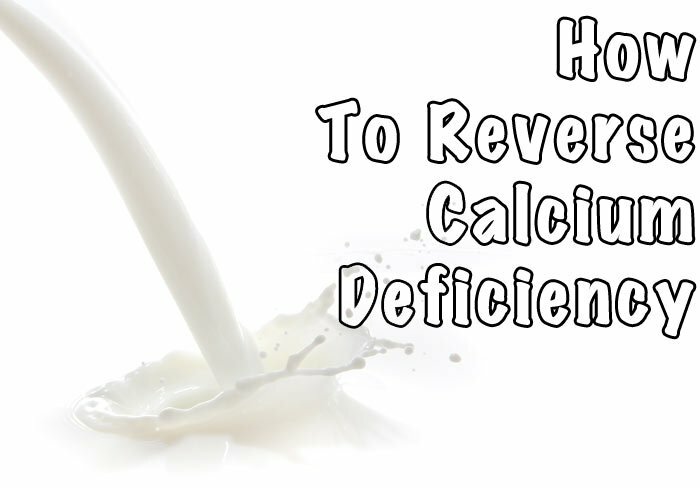 Below is an explanation of symptoms of calcium deficiency and what you can do to fix it. Like everything in life, calcium is easy come, easy go. Everyday, calcium leaves our body via hair, nails, skin, stool, and urine. Our bodies don’t produce calcium, so we have to outsource it from our diet in order to maintain our body’s supply. It is believed that most adults do not fulfill their daily minimum requirements of calcium. Even if you consume lots of dairy, as most American’s do, its possible your body is not properly absorbing the calcium in order to put it to work. The conditions have to be right for the body to be able to properly absorb calcium. For example, magnesium is essential to the body being able to properly absorb calcium. Calcium and magnesium work synergistically, and if you have low levels of one, you will not be able to absorb the other. This can lead to a terrible imbalance in your body. It has been found that people often suffer from a magnesium deficiency before moving on to a calcium deficiency. To ensure you’re getting enough magnesium and better able to absorb calcium, its important to consume enough to consume enough magnesium-rich foods in your diet. Who is Most at Risk for a Calcium Deficiency? Your body stores calcium in your bones and in your teeth. However, when you do not maintain sufficient levels of calcium by consuming enough calcium-rich foods, your body has to dip into its calcium savings account. This means that your body has to prioritize where it sends the calcium. For example, your body may prioritize the use of calcium to maintain healthy functioning of your heart and nerves over the health of your bones and muscles. This can lead to such negative symptoms as muscle spasms and even the development of osteoporosis. To prevent this from happening, its important to consume enough calcium everyday so your body does not have to economize its use of calcium and potentially sacrifice your health. The daily recommended amount of calcium for adult men and women is 1000 mg.
Getting enough calcium not only prevents your body from breaking down, but it also has a wide variety of benefits as well. As mentioned above, some calcium stored in the body is kept in the teeth. Calcium helps guard against tooth decay and maintain the structural integrity of your teeth. Calcium is vital to growing and maintaining the strength of your bones. Working with vitamin D and vitamin K, your body is able to nourish your bones against weakening bones that become that become brittle and vulnerable to fracture. Without calcium, your bones would not be able to be vulnerable to bone injury, but they would not be able to heal as well. The calcium, vitamin D, and vitamin K power circle also helps prevent the bone loss that may occur in old age. Remember that just taking a calcium supplement is not enough to protect your bones! You must also get enough vitamins and minerals essential to calcium absorption. This is where getting enough vitamin D and magnesium are important to maintain the proper balance and maximize absorption. Getting enough calcium and other essential minerals keeps your bones strong and therefore decreases your chances of developing osteoporosis. Post-menopausal women are especially at risk for developing this disease, so its especially important for women of this age to get enough calcium, vitamin D and vitamin K to prevent the development of osteoporosis and other bone complications. Healthy Muscles and Nerves: Calcium also has a hand in your ultimate control center—your brain. Here, calcium stimulates neurotransmitters that control nerve signals and muscle movement. Calcium encourages communication between cells and proteins within the body, which dictate muscle movement. Calcium further supports muscle health by encouraging the release of sugar in the blood, fueling your muscles. Research has found that by getting sufficient levels of calcium and vitamin D, you may significantly decrease your risk of developing several types of cancer. These cancers include breast, ovarian, colon, rectal, and gastric, just to name a few. Getting sufficient amounts of calcium and vitamin D helps regulate blood sugar levels, helping to prevent the onset of diabetes. Indigestion Treatment: Eating a diet that is rich in calcium helps reduce symptoms of indigestion and heartburn. Calcium prevents the valve between your stomach and esophagus from opening up during the digestion of food, preventing the onset of indigestion and other unpleasant digestion related issues. Women seem to be the most at risk of developing a calcium deficiency due to hormones. The balance of calcium is altered during the menstrual cycle. Calcium imbalance can lead to a host of unpleasant symptoms, such as breast tenderness, cramps, bloating, fatigue, moodiness, and muscle aches. Making sure you get enough calcium during your menstrual cycle can help prevent these symptoms from occurring.